Vinery stallion Myboycharlie had a joint-top priced 2yo at the South African Ready to Run Sale with a filly that was pin-hooked out of the Inglis Classic yearling sale in February this year. Victorian based Supreme Thoroughbreds sold her for $30,000 to Balmoral Stud in KwaZulu Natal and the filly’s value sky-rocketed to R2 million (AUD $202,545) at last week’s 2YO Sale in Johannesburg. The other 2yo that sold for R2 million was a colt by Lonhro from the Summerhill Stud draft. 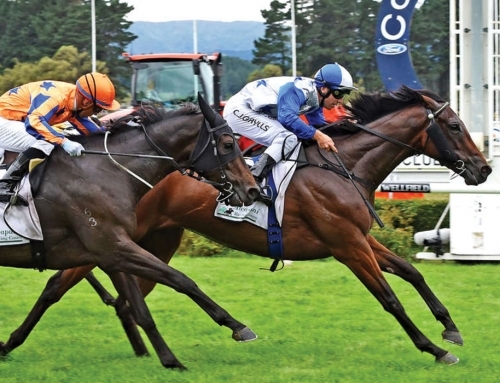 Myboycharlie sired her from Sydney winner Nervate (More Than Ready). The mare’s only foal to race has been Chris Waller’s recent Canterbury winner Murvate. Leading South African owner Brian Burnard purchased the filly and he has a great strike-rate buying from Balmoral Stud. This year, they’ve combined to win the G1 Thekwini Stakes with Lauderdale (Elusive Fort) and the G3 Protea Stakes with Redcarpet Captain (Captain Al). Burnard also won the G1 Empress Club Stakes with Along Came Polly (Judpot) before selling her to Three Chimneys Farm in Kentucky. Locally, Myboycharlie filly Jameka is marking time for the G1 VRC Oaks at Flemington next Thursday after a last-start victory in the G2 Moonee Valley Vase (2040m) for trainer Ciaron Maher. She is a $3.50 second-favourite for the classic behind Sacred Eye ($2.80). Myboycharlie stands at Vinery for $11,000 inc. GST this year.